Graham Webb Brit Style Energy Lock Hair Spray is the perfect way to keep styles lasting all day. This amazing, fast-drying hairspray will provide a maximum hold. It is perfect for all hair types and has sunscreens that will work to protect hair. Lock Hair Spray will leave styles lasting all day and keeps hair looking wonderful. In stock! 2 10 oz, 61 3 oz Travel Size in stock. I just love this product. Its not sticky and the smell is not overwhelming I just love how it makes my style look good and holds my hair without making it fill like straw. This product makes my hair style my own beauty masterpiece. And its affordable. Why buy hairspray that flakes and makes your head fill awful when you can get high a high quality product and look beautiful. Buy it today and put it to the test. And love looking great. 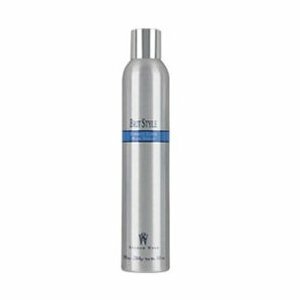 I have been using this hair spray for many years and have not found one like it. I hope I can continue to buy it. It is not sticky and does not make my hair stiff like the other sprays. Yet, it provides super good hold all day long!